Happy as they are to arrive in rebel-held Syria, these refugees are not raising their hands in a joyous welcome. 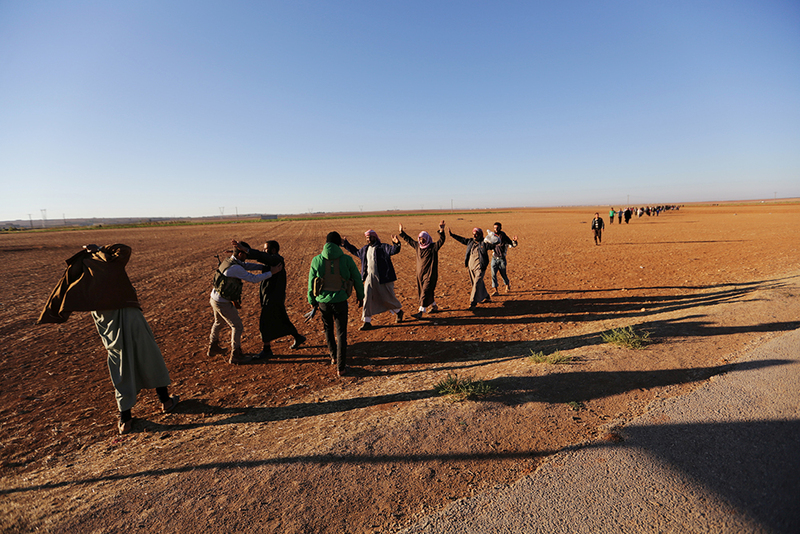 These men fleeing ISIS-controlled territory are anticipating an embrace, however — a frisk and search for weapons and explosives. It's a reminder that this is Syria in 2016 and even this so-called safe zone is still full of dangers, hidden and otherwise. 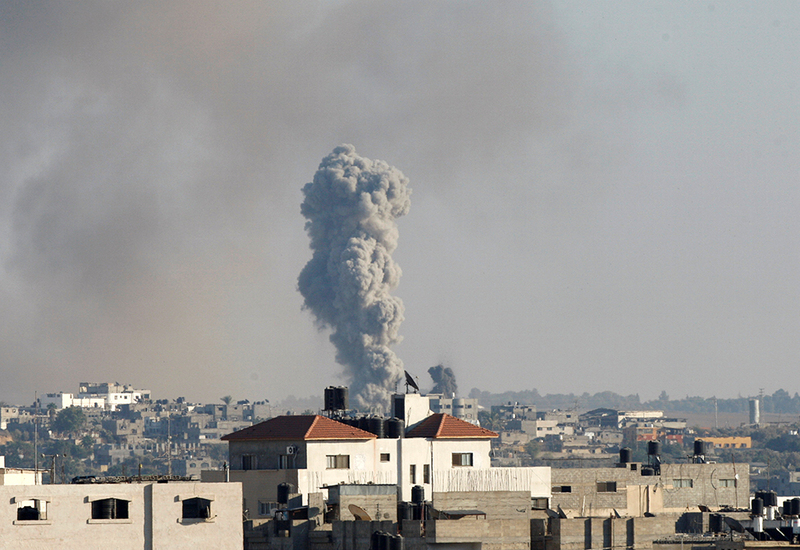 Israel launched at least nine air strikes on Gaza on Wednesday. It said the disproportionate response was in retaliation for a rocket shot from the besieged Gaza Strip into the southern Israeli town Sderot, which caused no injuries. Israel blamed Hamas, the Islamist party that was elected to rule the strip, for the rocket attack, even though a small extremist group unaffiliated with Hamas claimed responsibility. Israel frequently takes advantage of opportunities like these — attacks carried out by lone militants that rarely ever do any damage, yet alone injure any Israelis — in order to bomb targets in Gaza. What U.S. media reports on these attacks almost never acknowledge (this time is no exception) is that Gaza has suffered under a destructive Israeli blockade for roughly a decade. Israel tightly controls what enters and leaves the densely populated strip, keeping Gaza under effective, de facto occupation. A U.N. panel of experts said in 2011 that the blockade violates international law — just like Israel's nearly 50-year occupation of the West Bank and relentless colonization of Palestinian land through settlement expansion. The circle of violence continues to perpetuate itself as long as Palestinians live in this state of constant oppression and dispossession. These latest air strikes come just over two years after Israel's most recent bloody assault on Gaza. In the summer of 2014, the Israeli military killed more than 2,250 Palestinians, roughly two-thirds of whom were civilians, including at least 550 children, according to the U.N. Just six civilians were killed on Israel's side — one of whom was a Thai national. This kind of extreme imbalance is and has long been the norm. Many people think of the Dutch infatuation with bulb flowers as more of a 17th century thing, but it's still going strong in the 21st century, as evidenced by the 7 million bulb flowers — such as tulips, muscari and crocus, that get planted in Keukenhof park in Lisse every year. This mosaic, a tribute to the artist Piet Mondrian, shows exactly how modern tulip-based design can be. It also causes me profound envy, since I have never really mastered the art of growing bulb flowers, which are picky creatures requiring overwintering. We should enjoy them now, because their love of cold weather suggests they may not fare well as global warming gets worse. October 7 marks the beginning of India's five-day Durga Puja festival. The festival held in celebration of the triumph of good over evil remember the goddess Durga slaying the demon king Mahishasur. The lotus flower is an important symbol in Hinduism with many meanings. 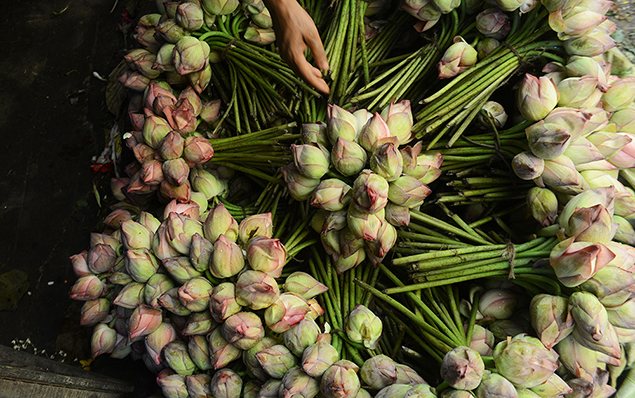 It is believed that the green and pink lotus buds represent beauty and purity. 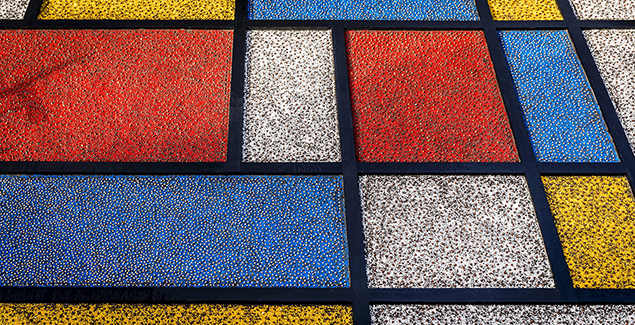 Concepts of "good" and "evil," "beauty" and "purity," are often called into question in moments of violence and unrest. As violence persists on the border of Pakistan and India, most recently in Kashmir, the lotuses are a reminder of beauty from the flower vendors setting up for the festival in Kolkata.